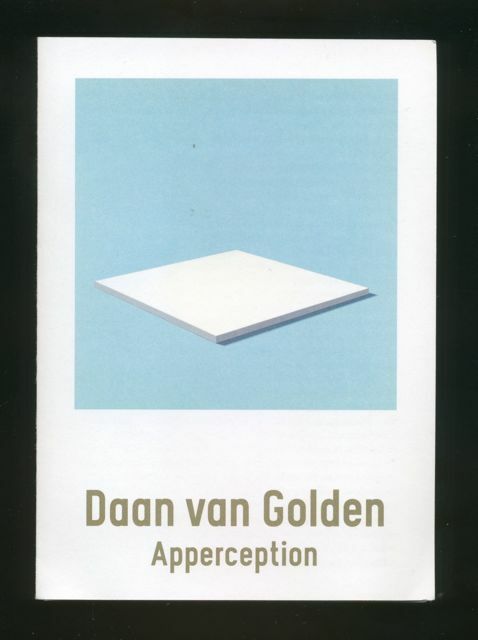 Apperception, an exhibition of works by the Dutch artist Daan van Golden, opened today at WIELS, the contemporary art centre in Brussels. The exhibition provides an overview of van Golden’s work from the 1960s until today. It mostly consists of paintings, although it does also include a series of van Golden’s photographs of his daughter Diana. Apperception runs until 29 April 2012. The painting pictured below on the cover of the visitor’s guide is entitled White Painting and dates from 1966. I was responsible for the English translation of the visitor’s guide.